Canoeing is one of my most favorite pastime hobbies but my only way of enjoyment was fishing on a small river nearby my house because there was no good place for canoeing near me. However, I knew all hope was not lost. I was always willing to cover major distances to have some fun canoeing time. A few of my canoe enthusiast friends had suggested me some of the best spots around the States. Since finding spots for canoeing near me was tiring, I had eventually decided to try out their suggestions and I was not disappointed after all. There were many instances where I regretted not taking certain gear and items and thus had to miss out on some amazing canoeing activities. 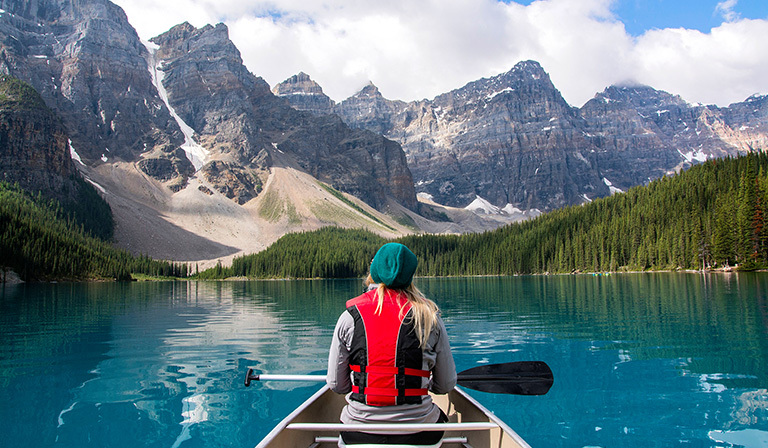 If you have the guts to take some risk and go solo, then these are the canoeing spots you will absolutely enjoy, as long as you have everything you need! 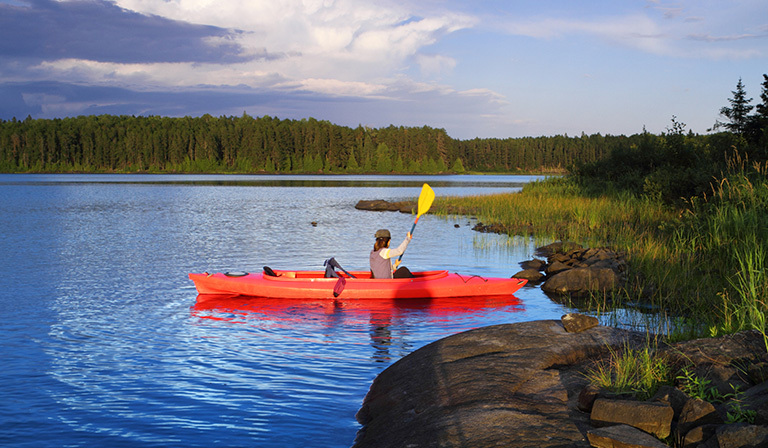 There are over 3000 lakes in The Boundary Waters with canoe routes of more than 1500 miles on the US side and more than 2000 canoe camping spots! You can even make a little trip to the Canadian side if you want. Experience the quiet wilderness, meet other campers and even observe the budding wildlife. You’ll get to see moose, eagles, wolves, bears, and a lot more. Be careful though, you don’t want to end up bothering them. The best time to go there is between May and October. This is a well-established canoe trail that starts from New York and ends in Maine. You will get to rest or camp every fifteen miles. 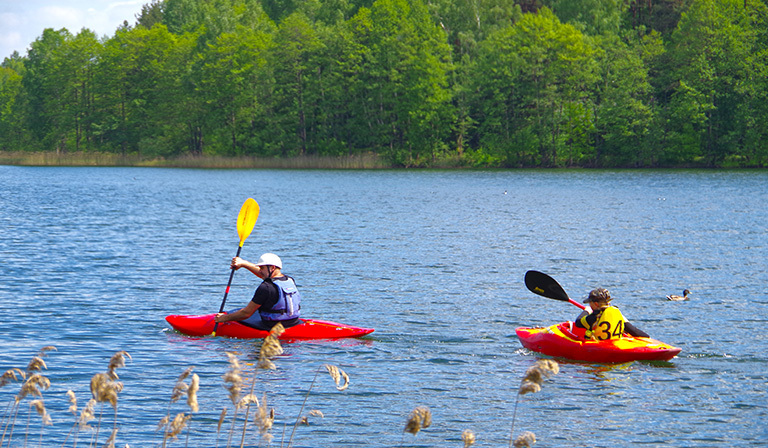 Paddle through various lakes and rivers and enjoy the beautiful pre-winter sceneries spread across New York and Maine. 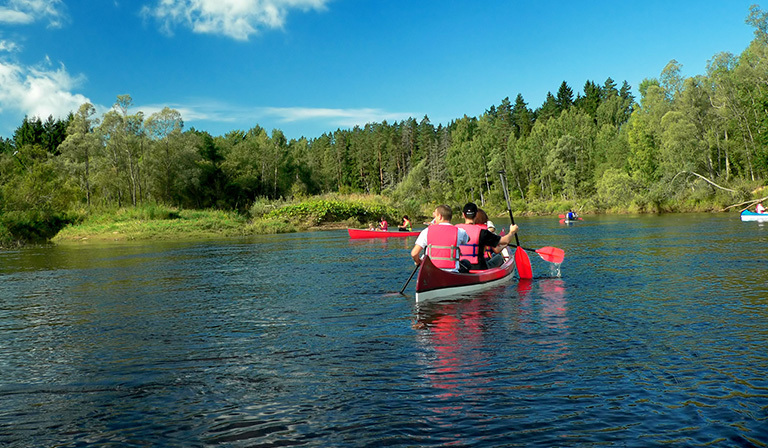 Head to the Northern Forest Canoe Trail during the May-October season. This 730-mile long river is an amazing canoeing destination you should never miss for an exciting canoe trip. 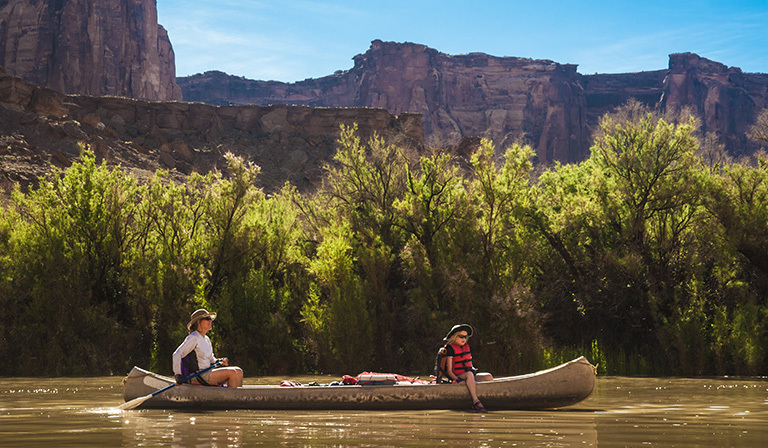 You’ll get to explore canyons and there will also be the opportunity to head to the Colorado River. The water levels change throughout the year, so the best time to go there is during spring or autumn. One time I started my canoe trip from Lake Itasca and ended at the Gulf of Mexico. 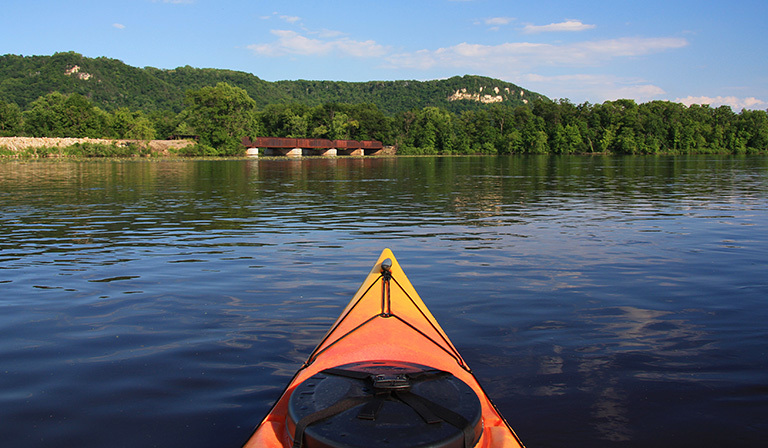 But you can canoe and conquer the great Mississippi river if you wish. Remember that it is a huge river (over 2000 miles! ), so you must have the willpower to start off. Prepare for some amazing sightseeing opportunities and who knows you could even make close contacts with dolphins and whales while scuba diving. I didn’t forget to use my GoPro to take selfies while I snorkeled here and there and I even fed some dolphins too! You can paddle through Western Kentucky and have some incredible moments worth remembering. 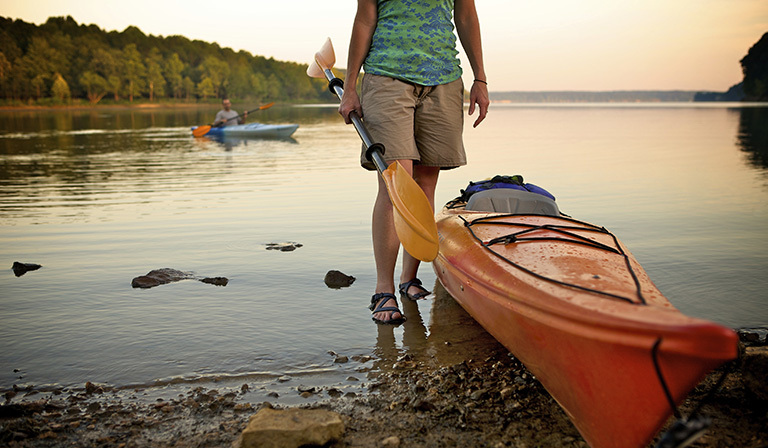 A canoe trip from Lake Kentucky to Lake Barkley may take around five days and the best place to stay overnight would definitely be the Wildcat Creek Campground, a peaceful and quiet destination for a good night’s sleep. The Upper Cumberland River and its falls are worth canoeing on. You will not need much gear for this, though you might need more in case your canoe is a little heavy. It can be a perfect weekend trip whether you are solo or with a small group of people. There are many underground caverns worth checking out. You can travel through a 26-mile long river that runs through the Mammoth Cave National Park, which is teemed with wildlife. There are also some island camping sites available for all. What’s more, you can even check out the Devil’s Jump where you’ll hear many interesting legends about it. The place is great for canoeing and fishing. Florida is famous for its natural springs and quiet, peaceful rivers. Head to the Rainbow River to view stunning wildlife and vegetation. Weeki Wachee Springs has crystal clear waters where you might be able to spot otters or manatees. 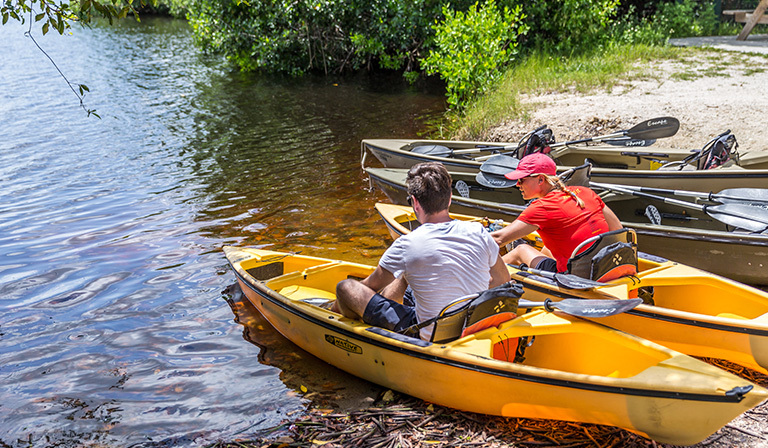 Cruise through the Juniper Runs in the Ocala National Forest, the Ichetucknee Springs as well as the Wekiwa Springs. If you’re a fan of lilies, Wekiwa Springs is where you can get to them. You can also go for night paddling on the Santa Fe river. Silver Springs State Park is a place with budding wildlife, such as alligators, turtles, deer, endemic birds and even rhesus monkeys! Moreover, you can observe colorful fish and beautiful coral reefs at the John Pennekamp Coral Reef State Park. Canoeing in Florida was an experience I would never forget. Finally, I took some time to head to Indiana, an amazing opportunity for those who love the outdoors. Perfect for a summer hangout, Indiana is where you need to be if you want to go canoeing right now! 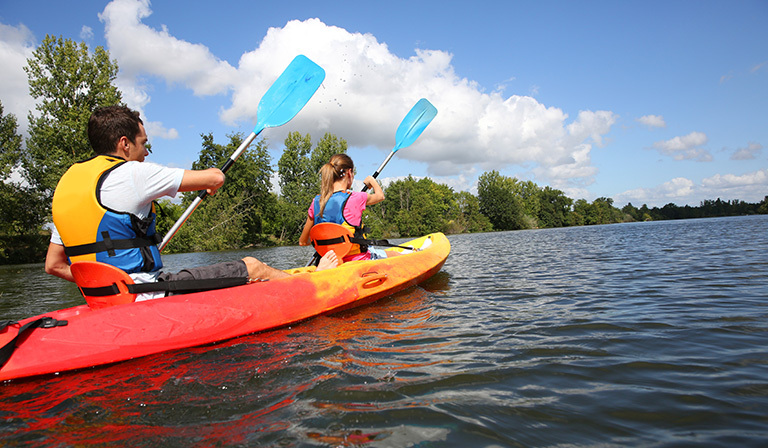 Lake Monroe is the largest lake in Indiana wherein numerous people make camping and canoe or kayak tours and trips with their friends and families. The Tippecanoe river is perfect for fishing and indigenous bird watching. If you want to take some risks, go through the rapids of Cedar Creek. It is 32 miles long with many twists and turns. For an even more thrilling experience, you can try canoeing in the Big Pine Creek, but you must wear more protective gear. You can view Falls of the Ohio State Park to check out fossil beds and some historic sites. Just because I am suggesting you these places does not mean that there are no other places to canoe in America. This continent is filled with undiscovered terrains and untouched waters, so take this opportunity to explore the unknown places. That’s exactly what I plan to do right now. In fact, I’m willing to take it to the next level. I’m currently planning my next canoe trip in Latin America! 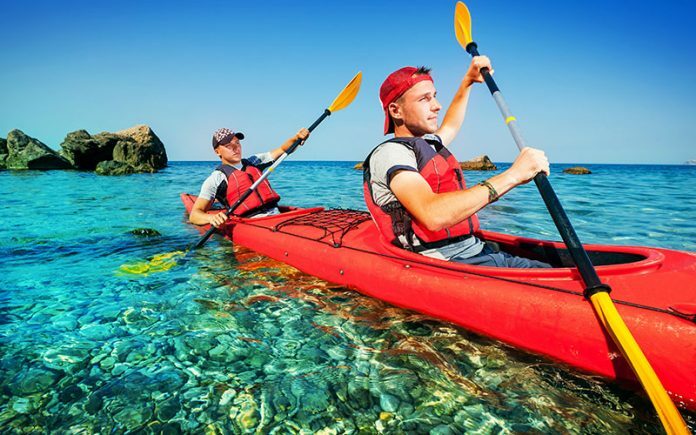 If you’re a beginner, I suggest you first start canoeing in your nearby areas and then consider the faraway options. Before you head out to a trip with your precious canoe, ensure to pack all the necessary gears, even if it’s a light trip. It is best to be well-prepared, you don’t know what could come in your way. You should select a destination based on the number of days you will head out for and who you are going with. Some places are worth hanging out during the weekend while some won’t be fun without a large group of people. Also, you’ll probably have to to do other things besides canoeing, such as camping, sightseeing, scuba diving and fishing. Do not forget to take the necessary gears required for such activities. Oftentimes, you’ll be spending the night under open skies and be close to nature and the wildlife. So, are you up for it? Are you prepared to take risks and experience thrills you never felt before? Are you ready to go on the best canoeing adventure you ever took?